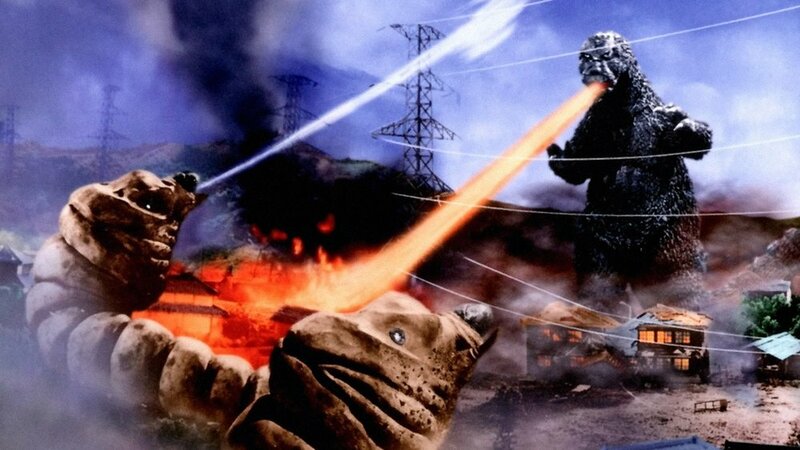 Did ya Know: The year 1964 is the only when Toho released two Godzilla movies in one year. Right after this film, Toho began working on Ghidorah, the Three-Headed Monster (1964), which debuted that December. Godzilla vs. Mothra is a kaiju film from Japan, released in 1964 by Toho Pictures. It was directed by Ishiro Honda and stars Akira Takarada, Yuriko Hoshi and Hiroshi Koizumi. And is the fourth installment of the original Godzilla series that began in 1954. A giant mysterious egg is kicked up by a typhoon, and brought to the surface right off the coast of Japan. Local fishermen are marveled, but soon claim ownership. Selling the egg to a wealthy businessman, looking to profit off of the new-found popularity. This is all much to the dismay of the tiny pixie aliens that seek to protect the egg, and the people of earth. However, something else was also kicked up by that damn typhoon. That something is: Godzilla, our giant lizard death god. And that egg… well that egg’s got a Mothra in it. The dialogue is pretty weak, maybe it was just the english dub, but it didn’t have the depth of the 1954 original picture. Although it was quite humorous. I liked some of the characters, but the speech is far too stiff. I guess you don’t actually watch these movies for the deep character development. These movies are a testament to model building! Ishiro Honda does an amazing job of filming these scenes and making them believable. If you were a movie-goer in the sixties, this looked like an epic, big-budget film. And while the effects may not stand up to Sir James Cameron's standards. They do have a certain charm that effects master, Eiji Tsuburaya brings to these films. The fight scenes were pretty interesting. Some parts looked really good. Others appeared like two rubber kids toys dangling from a string. It wasn’t bad, but parts of those scenes were just off. Maybe it was the fast-motion. I also didn’t appreciate how weak Godzilla was portrayed. He was bested by just about every foe. At one point he was covered in webbing by a bunch of larvae! Mere babes! This would of never happened to Shin Godzilla. I had a tough time keeping track of his size during this movie. He appeared to very in height throughout the picture and I found it extremely taxing during the fight scenes. I think that may have something to do with how ‘zilla came across.